Gloucestershire, United Kingdom A 22 year old man magnet fishing in the River Severn pulled up a WWII era mortar round. Recognizing that the find was potentially dangerous, the man quickly backed away and called the police. Senior MMRP Project Manager position available in a growing munitions and environmental services company with a strong munitions remediation program including explosives contaminated buildings decontamination, chemical sampling, munitions treatment and disposal, and an explosives neutralization/metal precipitation and stabilization product. Due to strong growth, a seasoned MMRP professional with experience in large project management and building / leading field-based teams responsible for UXO operations is needed. developing the company's munitions demilitarization and building decontamination and deconstruction service line. Must have previous experience leading field-based UXO operations and adept at running multiple small to medium size customer programs. 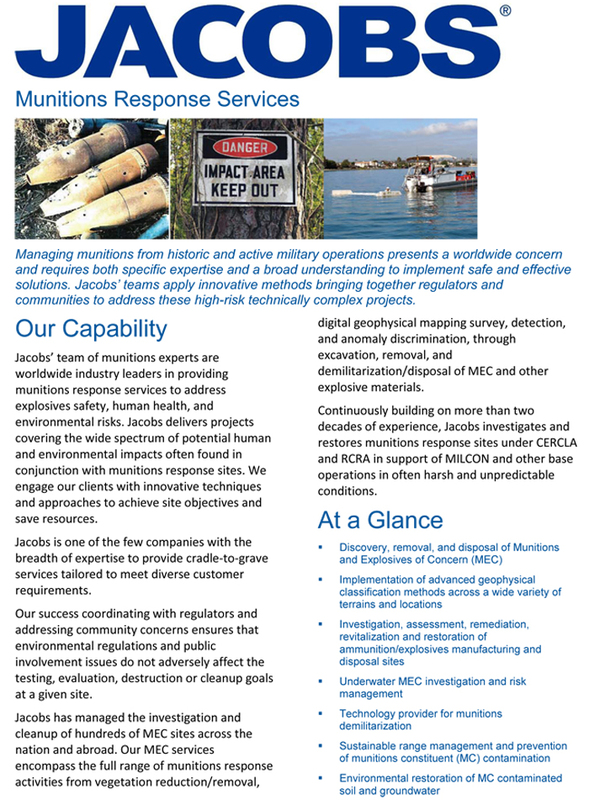 Experience with USACE clients is highly desirable within the U.S and International. A military background with EOD Tech III experience is also a plus. 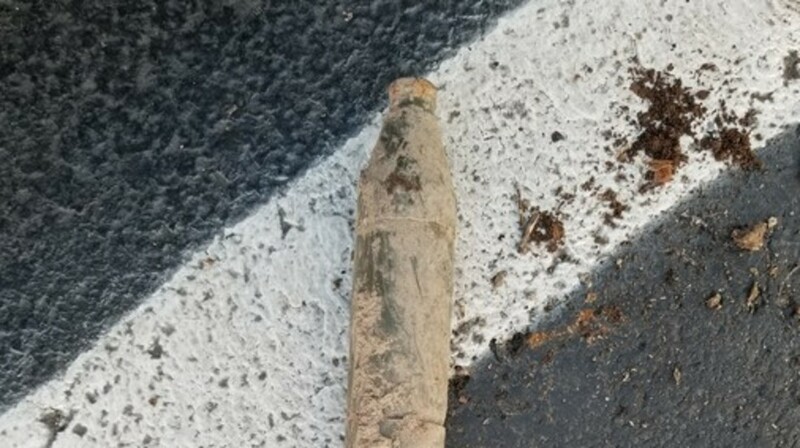 La Vale, MD Contractors working on a yard in western Maryland found a military ordnance item. The crew notified the police who called in the State Fire Marshal. 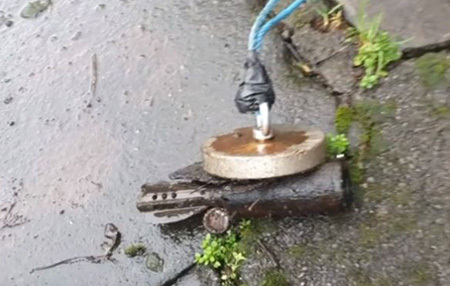 A bomb disposal unit was dispatched to remove the ordnance which was identified as being inert (specific nomenclature not provided). Norfolk, United Kingdom A man working in his garden in Burgh Castle uncovered what he suspected was scrap metal. The man showed the find to his neighbor who also found similar items on his property. The idea of taking the items to the recycling facility was quickly abandoned after the neighbor became concerned over the items. 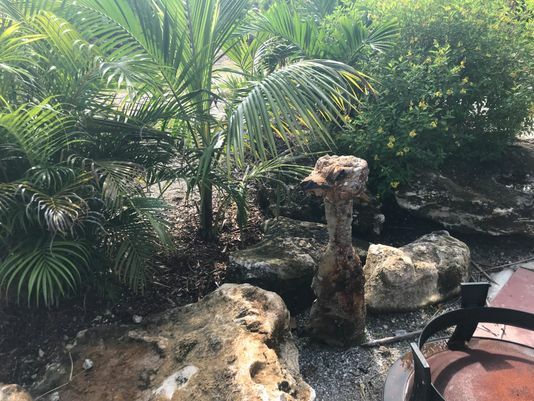 Orchard Island, Florida UXO technicians working on as part of a USACE sponsored FUDS investigation at the Former Fort Pierce Naval Amphibious Training Base found a rocket and other munitions debris in a residential garden. Although the rocket was missing the fuze section, it was handled by Patrick Air Force EOD as an emergency response. 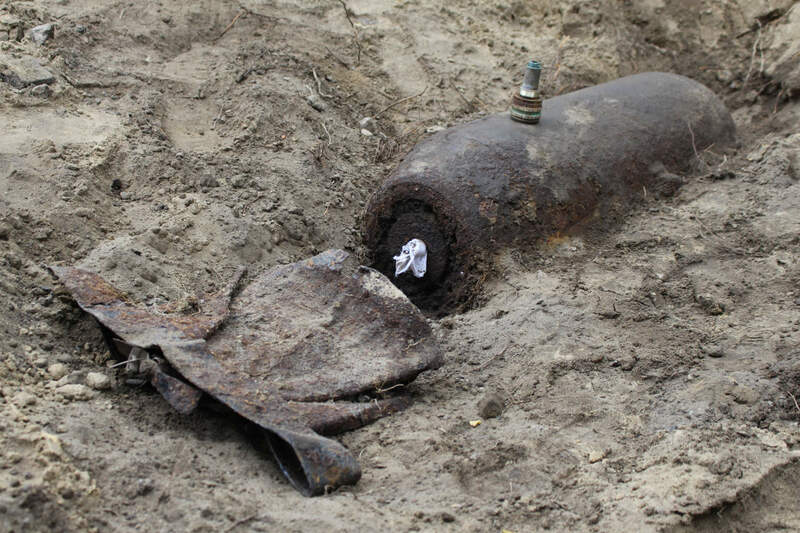 Brandenburg, Germany Nearly 3,000 residents had to be evacuated and nearby roads closed as a bomb disposal team performed a render safe operation on a WWII era 250-kg bomb. 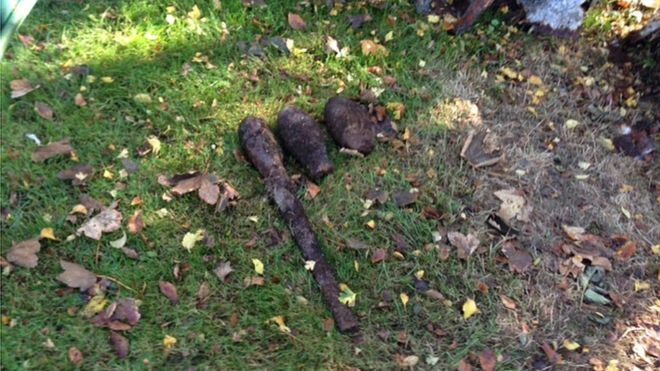 The UXO, identified as a U.S. bomb, was discovered during a pre-construction survey of the area. Helmand, Afghanistan Sgt. James Slape, a 23-year-old EOD Technician assigned to the 430th EOD Company, North Carolina Army National Guard, was killed from an IED incident. 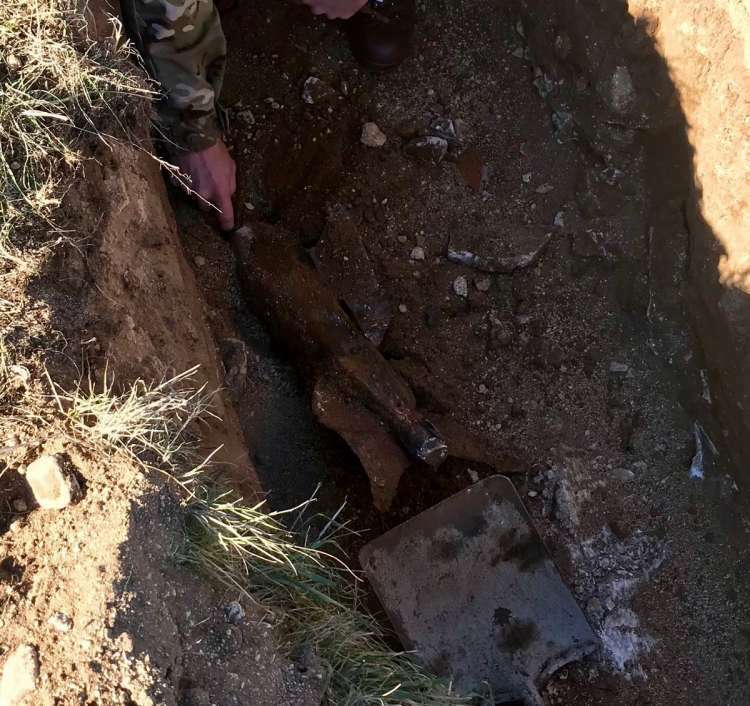 According to published reports, after a blast had damaged a vehicle, Slape had left his vehicle and was working to clear the area when a second IED detonated. Shoreham Harbour, United Kingdom A bomb disposal unit was called to inspect a suspect UXO hauled in by a dredge at Shoreham Harbour. 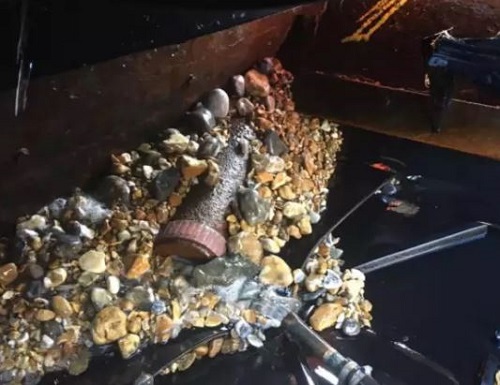 Littlehampton Coastguard responded to inspect the ordnance. They then contacted EOD who recommended the item be left in position until could arrive.